With a checkered employment history, an ex-boyfriend who thinks she is an ATM machine, and a crazy family that she misses dearly, Katie Chance can't wait to start over in her hometown of Apple Grove. 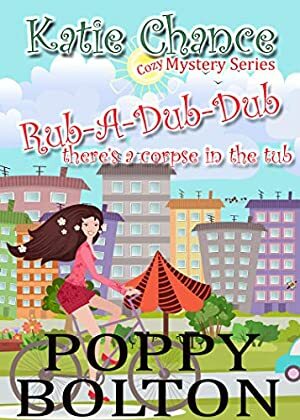 What Katie doesn't expect is to be thrown into the middle of the town's first murder investigation or to nearly be run over by the murder suspect as he's trying to flee town. Katie never imagined that the quiet little town of Apple Grove would be the center of a scintillating murder mystery. But when rich spinster, Rudy Valentine winds up murdered in her bathtub the finger-pointing begins. Apple Grove becomes a circus as media swarms the once-quiet town, and the sheriff does little to arrest the right person and quite a lot to arrest the wrong ones, which makes conspiracy theories fly and everyone a suspect. Katie must dodge trouble at every turn and pray for an outcome that doesn't land her behind bars as the murderer roams free and leaves a note telling her she's next. Log In to track Karice Bolton on eReaderIQ. to be notified each time the price drops on any book by Karice Bolton. to stop tracking Karice Bolton. Log In to track Poppy Bolton on eReaderIQ. to be notified each time the price drops on any book by Poppy Bolton. to stop tracking Poppy Bolton. We started tracking this book on October 19, 2018. The price of this book has changed one time in the past 188 days. The current price of this book is $0.99 last checked 8 hours ago. We last verified the price of this book about 8 hours ago. At that time, the price was $0.99. This price is subject to change. The price displayed on the Amazon.com website at the time of purchase is the price you will pay for this book. Please confirm the price before making any purchases.